Your home is your retreat, the place you go home to at night and feels safe. There are many parts to you house, that make up the structure of this place you feel safe, that make it warm and safe. When weather comes, be it a gentle rain or a storm, your first line of defense is your roof. Your roof takes the brunt of all that nature throws at it every day. Whether heat or cold, rainy or dry, your roof stands between you and the weather every day. Over time, your roof can reach the point where it is no longer performing as it should, to be able to protect you from the elements. If your home or office roof, is no longer meeting these needs, our experts here at Shelton Roofing are here to help. With the best materials available on the market today, and many years of experience, you can count on our roofing team. We can provide you with the re-roofing solution that will best meet your individual needs, and protect you from the weather for many years to come. If your roof is leaking, perhaps even missing a few tiles or shingles, we are here to help. 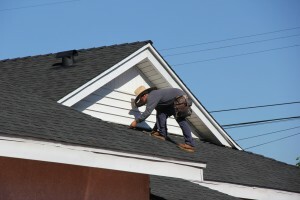 Our professional roofers, can provide you with the best solutions for you repair needs. With extensive experience in roofing techniques, we can have your repaired the right way the first time. We can tailor repair solutions, to the exact needs of your individual home or office. Whether you are renovating your home and looking for an attractive and long lasting new roof solution, or simply needing to place your roof, our experts are there to help. We can assist you in choosing the right roof, to meet your individual needs and plans, for your home or office. At Shelton Roofing, our professionals work with the latest in roofing technology. We offer a selection of premium roofing materials, including; synthetics, tiles, wood shingles, and shakes. You can also count on our expert team here at Shelton Roofing, to assist you when you have need of emergency roof repair. Our experienced professionals, will get your home or office back under a dry roof. You can count on our many years of expertise, to get your emergency roof repair done right. For all of your roofing needs, call the expert professionals at Shelton Roofing. We are your premier roofing company in the Palo Alto, Menlo Park, and Sunnyvale California area.